Despite increased adoption of SaaS, most IT teams have not addressed the fragmentation of the enterprise software stack, which greatly impacts application performance and overall user experience. Modern applications are no longer a single executable running in one place, but are a mix of on-premise, public cloud, and hybrid applications & services that span in-house and cloud provider environments. 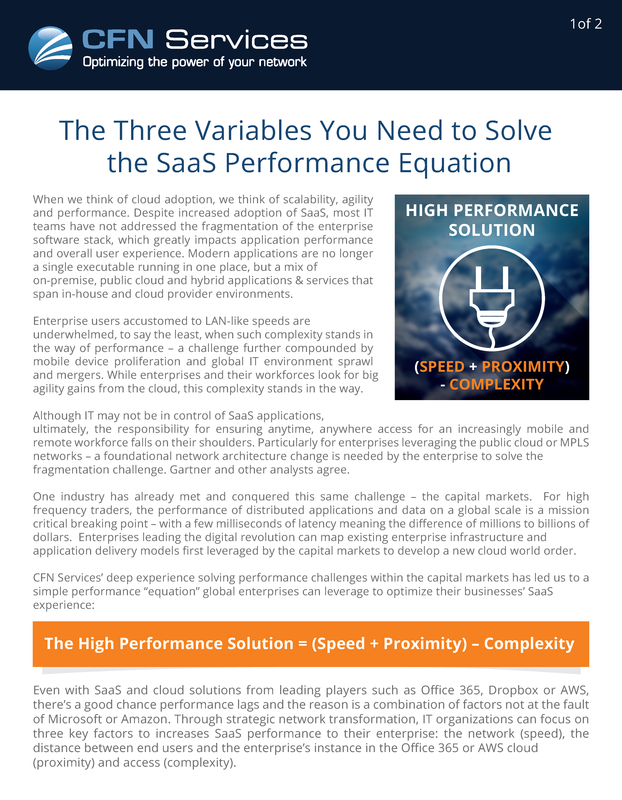 Discover how to solve SaaS performance challenges for your enterprise by downloading this free white paper.